A recent spike in crime in the Home Park neighborhood has led to many students on campus asking for increased safety measures in the area. The general trend over the past few years has shown a decrease in crime in Home Park, but this series is an anomaly. The crimes, which Chief Connolly has said are being committed by juveniles, have been a consistent pattern of armed robberies over the past few weeks. The pattern has pointed to a specific group committing these crimes based on the MO of the criminals. In an effort to catch these criminals, GTPD and the Atlanta Police Department (APD) have both increased their presence in the Home Park area. As a side effect of this increased presence, other criminals have been caught in the area. Last week, two car thieves were caught and arrested. While Connolly is glad that these criminals have been caught, they are not the criminals behind the series of crimes in Home Park. However, according to Chief Connolly, these criminals will not be as easy to catch as others — specifically, because the series of armed robberies is being committed by juveniles. While catching the criminals is a big goal, it is a part of the larger goal of GTPD and APD to make Home Park safer. Recent initiatives, such as expanding the service of the Green bus line and removing the charge for late night off-campus Stingerette rides, have been steps towards a safer Home Park. 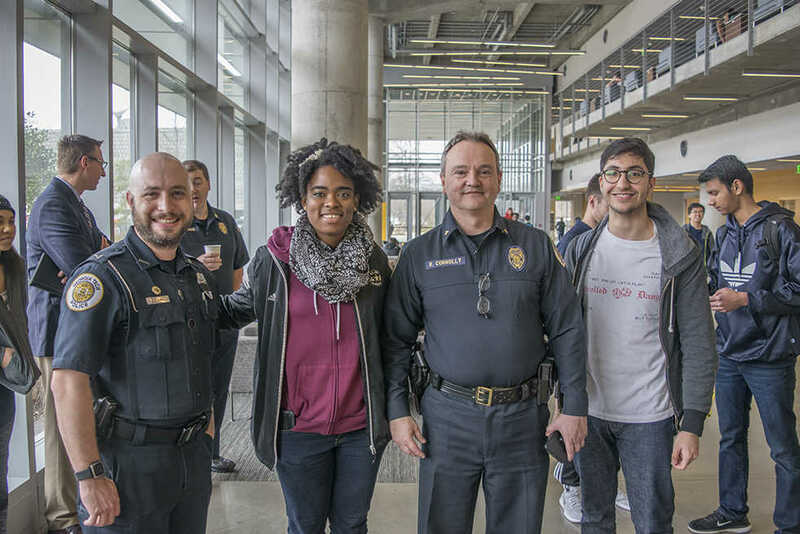 In addition to talking to students at a “Coffee with a Cop” event in Clough Undergraduate Learning Commons, Chief Connolly spoke at a town hall at Atlanta Fire Rescue Station 11. The event was organized by the Home Park Community Improvement Association. At the event, Connolly talked about GTPD’s continued efforts in Home Park, including assisting Georgia Power in the plan to add new street lights. The main step that Chief Connolly and GTPD intend to take to achieve the goal of creating a safer off-campus environment is education. With the education effort comes increased outreach by GTPD. While they are known for an already large social media presence, GTPD plans on going beyond social media with this specific push. Chief Connolly has traced this problem of lack of awareness back to the safety that students are already accustomed to on campus. In the coming weeks, students going off campus should remain vigilant, utilize the new or expanded services being created by GTPD and the Institute and be on the lookout for social media campaigns from GTPD.